The postman had just delivered a Korean-language newspaper to a home on Cather Avenue when he saw a plane plunging toward him. “Everything was in slow motion,” said Bill Dusting, a veteran letter-carrier. “My first thought was, ‘Well, this is going to be quick and painless.’” It was neither. 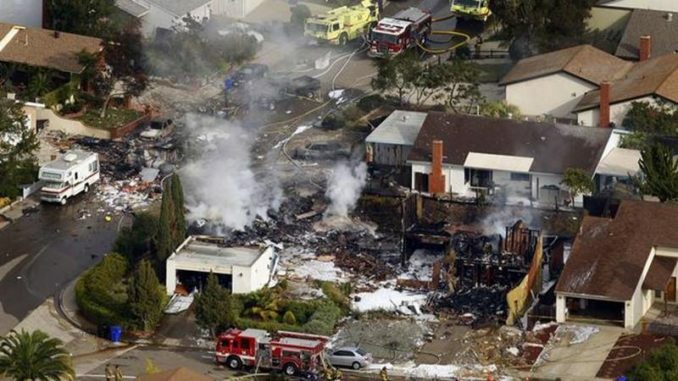 On that morning, 10 years ago today, Dusting ran to safety but the Marine Corps F/A-18D Hornet crashed, killing four people inside the home. Flaming wreckage shredded that house and ripped through its neighbor, burning both homes to the ground.